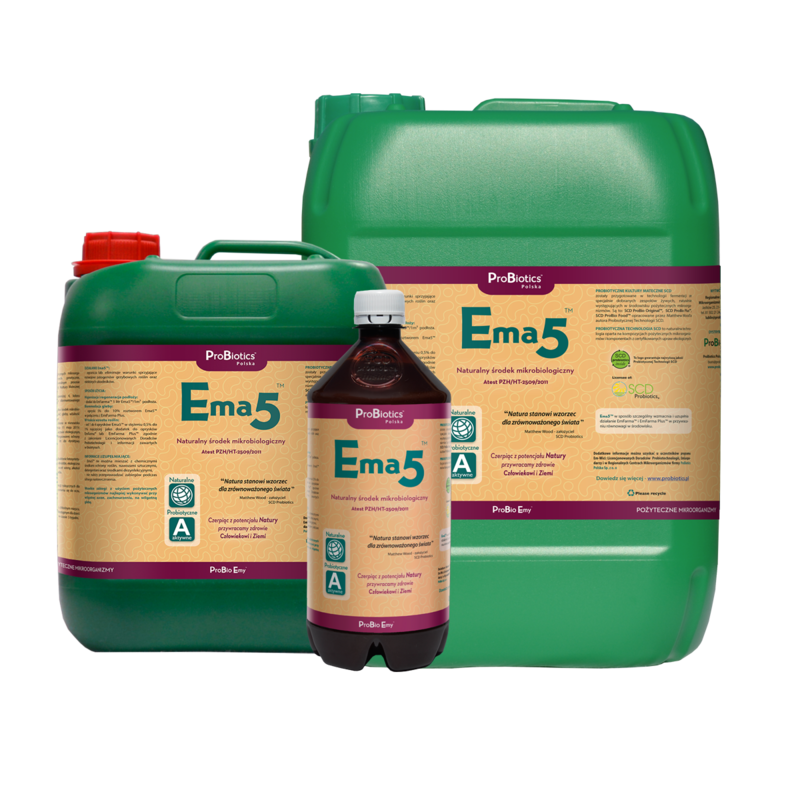 Ema5 with Tansy is a specially prepared composition of microorganisms based on SCD ProBio Original® which undergoes additional fermentation with wine vinegar, alcohol and tansy. 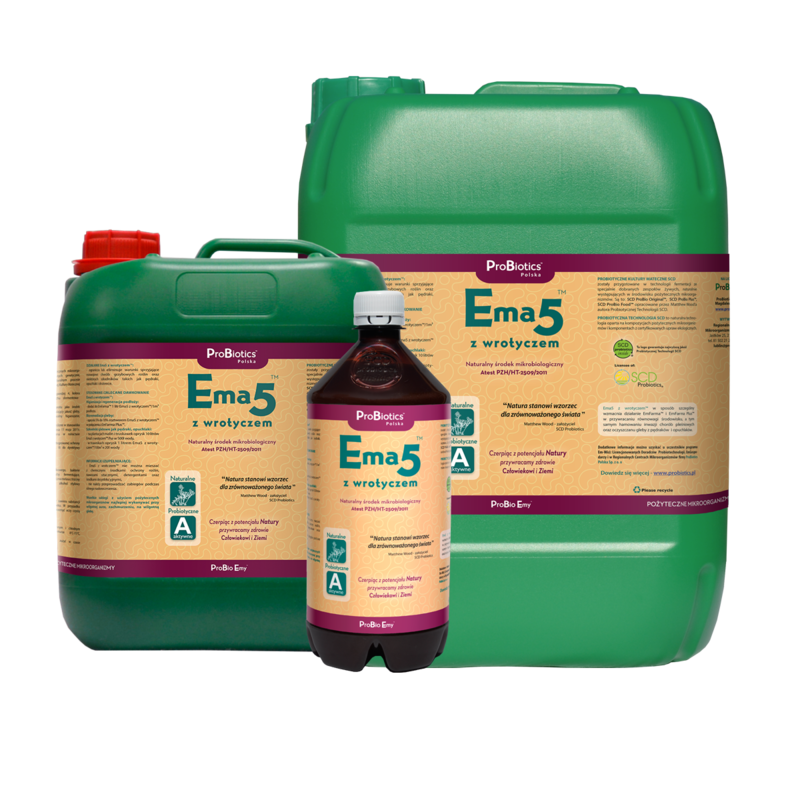 Ema5 with Tansy strenghtens and complements EmFarma™ and EmFarma Plus™ in restoring balance in the environment, inhibiting mold diseases and purifying the soil of weevils and grubworms. 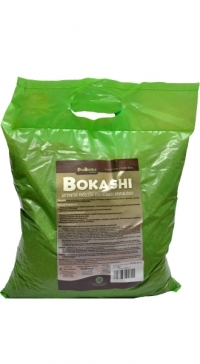 Lactic acid bacteria, photosynthetic bacteria, fermenting fungi, yeast, tansy, organic sugar cane molasses, wine vinegar, ethyl alcohol, purified and structured, unchlorinated water.